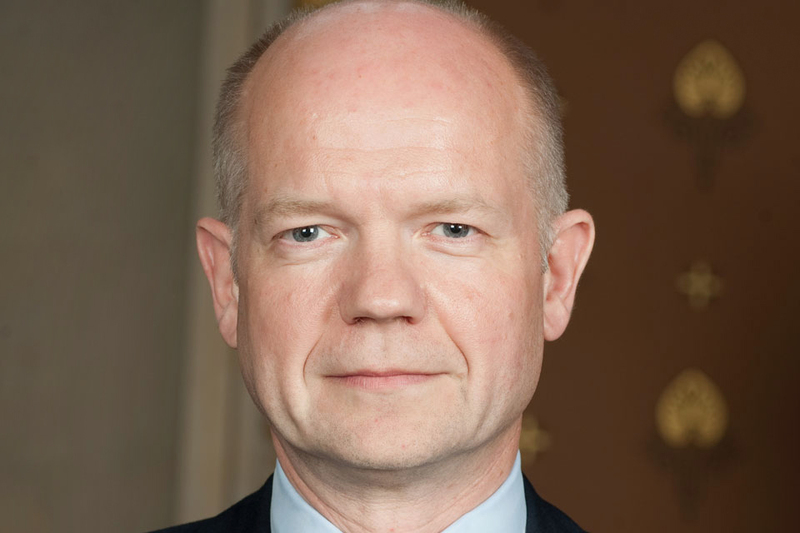 "British-supported activities have brought and are bringing stability and security to Afghanistan"
Foreign Secretary William Hague spoke at the presentation of the Civilian Service Medal for Afghanistan on 3 May. It is my great pleasure to be here as Foreign Secretary to mark the introduction of the Civilian Service Medal for Afghanistan. As you well know last October marked the 10th anniversary of the war in Afghanistan and it is an apt time to thank those who, through their efforts and sacrifice, have striven to build a better future for that country. Many words have been both written and spoken in tribute to the brave men and women of our armed forces, who have put their lives at risk in Afghanistan, and every single one of those words is well deserved. What is, however, often forgotten is the dedication and devotion of many thousands of civilians who have worked, in testing conditions, to build democracy and security and improve the lives of ordinary people in Afghanistan. Many of you will have had to endure the difficulties of life in a combat zone; coming under fire, sleeping in bunk beds, boiling in summer and freezing in winter, separated from your families and loved ones. Achieving what you have, with the enthusiasm and vigour that they have maintained, demonstrates the very highest standards of professionalism and commitment. The issue of the Civilian Service Medal, approved by Her Majesty The Queen last year, formally recognises the contribution you have all made working in Afghanistan over the past ten years of conflict. This medal is an acknowledgment of your devotion and personal sacrifice and an expression of gratitude, from the people of the United Kingdom, to you. I also know that there are family members and friends here today. I would also like to offer my personal thanks, and that of the Government, to you. You may not get a medal but you do deserve our thanks for providing the love and support that help to make working under such difficult circumstances bearable, for the individual concerned. What you have achieved is impressive and you should feel justifiably proud. Since 2001 there has been a fivefold increase of children in education in Afghanistan; eight times as many people have access to a local healthcare facility; and Lashkar Gar, the capital of Helmand Province, held its first set of municipal elections, the first in the country to do so. These are just a few of the many achievements that you all have contributed to over the last 10 years. When President Karzai visited the United Kingdom and spoke with the Prime Minister earlier this year he expressed the gratitude of the Afghan people for all that Britain has offered to Afghanistan and the ready sacrifice you have all made for the betterment of the lives of people there. You will all have taken back special and unique memories of your time in Afghanistan; as have I during my visits to the country where I have had the opportunity to meet first hand a few of the many people that you have helped over the last ten years. I met artisans at the Turquoise Mountain arts programme in Kabul and heard how your support has lead to training of a whole new generation of artisans. I also spoke with women students in Herat where the British Council have brought the opportunity of greatly improved education. Whether through helping to establish functioning local government in Musa Qala, designing and building the prison in Lashkar Gah; building new schools and medical centres; developing counter narcotics initiatives; or providing legal training to prosecutors, British-supported activities have brought and are bringing stability and security to Afghanistan and that is something that must continue to transition in 2014 and beyond. Those of you who are here today are truly representative of the genuine unified effort in Afghanistan. There are medal recipients here today from Government departments including HMRC, SOCA, Ministry of Justice, the British Council and DfID and private sector organisations as diverse as G4S, Armour Group, Minimal Risk and Adam Smith International. Afghanistan today is unrecognisable from the Afghanistan of 2001. Addressing the damage caused by thirty years of civil war and the misrule by the Taliban will take time but you should take this opportunity to remember the vitally important progress, in which you have all played a part and which this Government is determined will be continued for many years to come.